Nice. 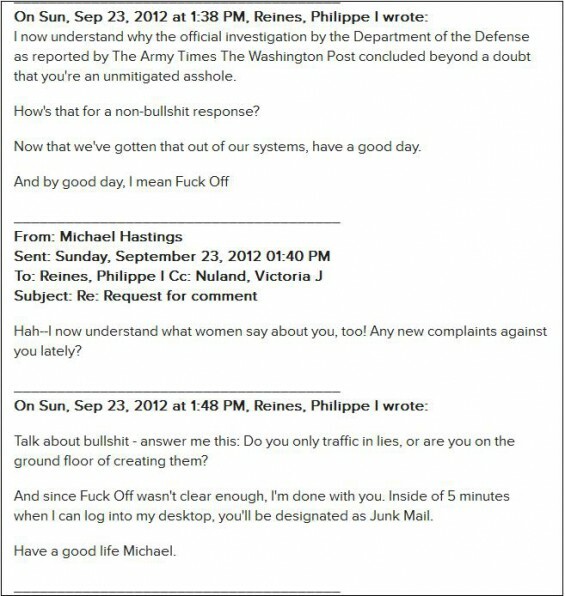 Top State Department Official Emails Reporter to Tell Him to "F**k Off"
This was after the reporter confronted the official on the State Department’s Benghazi disaster. And, the official was stupid enough to deliver the f-bomb via email.